The Strategic Road Map for the manufacture and processing of agricultural products in Azerbaijan is expected to provide a significant GDP growth. Some 20,000 new workplaces will be created in the country until 2020, while the increase in GDP will amount to 1.2 billion manats ($ 0.68), according to the document. Direct effect of the measures envisaged in the Road Map will amount to 575 million ($ 328.1 million), while indirect effect will provide an additional increase of 660 million manats ($ 376.5 manats). 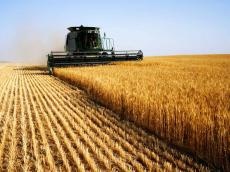 Moreover, it is planned to establish an agricultural insurance fund in 2018, while Azerbaijan’s Financial Markets Supervision Body (FMSB), the country’s Agriculture Ministry, as well as private insurance companies will study the possibility of creating an insurance fund to expand the coverage of agricultural insurance. The country will study international experience in this area and prepare reports, which will contain an analysis of the potential impact of the fund’s creation on insurance of producers and development of the sphere as a whole. Also, it is planned to create an information base that includes climate data, information on natural disasters, animal and plant diseases as well as data on productivity. The Road Map comprises short-term (until 2020), medium-term (until 2025) and long-term measures (post 2025) measures to be implemented in the sphere. Some nine strategic objectives were defined in the Map to create an advantageous environment, which will increase the competitiveness of the sector. The main objectives of the Road Map are strengthening the sustainability of food security, simplifying the access to financial resources, improving the quality of professional education, development of consulting and information services, simplification of the access to the markets for manufacturers, development of market infrastructure, improving the business environment in the sphere of agriculture. A recent decree endorsing “Strategic road maps for the national economy and main economic sectors” signed by President Ilham Aliyev on December 6 targets to define the development goals and priorities and ensure their proper and timely implementation. The Strategic Road Maps will require some 27 billion manats ($ 15.4 billion) to be implemented, while the sum will be provided through the state and private sources.